There is one UNESCO World Heritage Sites in St Kitts and Nevis. It is a cultural site and was recognized into the list in 1999. The Brimstone Hill Fortress National Park in St. Kitts and Nevis is a UNESCO World Heritage Site recognized for its cultural importance. 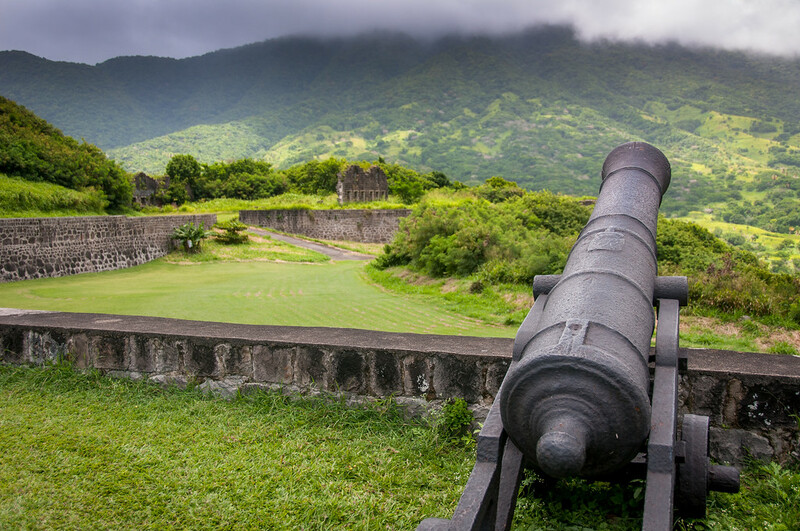 This fortress sits atop Brimstone Hill on the island of St. Kitts, which is known for having a steep slope. The British military engineers designed the fortress but the African slaves were designated to maintain and look after the fortress. Although the British abandoned the fortress in 1853, it remains as one of the best preserved fortifications to this day. Within the Brimstone Hill Fortress National Park, you will find many other features such as the Fort George Citadel and the Prince of Wales Bastion. This was designated into the UNESCO World Heritage Sites list in 1999.